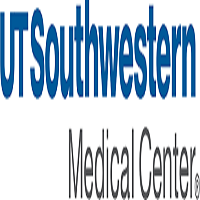 The University of Texas Southwestern Medical Center, Department of Internal Medicine, Division of Nephrology, is seeking a Nephrologist. Applicants must have an M.D. degree or equivalent, from an approved LCME medical school and satisfactory completion of an Internal Medicine residency and Nephrology fellowship from an ACGME accredited program. Candidate must be eligible for Texas medical licensure and be board certified in Internal Medicine and board certified/board eligible in Nephrology. Appointment rank will be commensurate with academic accomplishments and experience. Consideration may be given to applicants seeking less than a full-time schedule. Duties will include: staffing the outpatient clinic in Clements University Hospital and inpatient Nephrology consult service in ether Clements University Hospital or Parkland Memorial Hospital. Research responsibilities will be focused on development of cardio-renal referral practice. Candidate will be expected to actively participate in the teaching and training of medical students, graduate students, house staff and Fellows.